Homeopathy is a method of medical treatment which stimulates the body's own healing processes in order to cure illnesses. Homeopathy is based upon the discovery that a substance in small doses can alleviate symptoms similar to those it causes at higher doses. The phrase "likes are cured by likes" is often used to describe a basic concept behind homeopathy. Thus, the two cornerstones of homeopathy are that "likes are cured by likes," and that the remedies are properly diluted to eliminate or minimise their toxic effects. 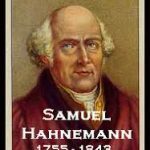 German physician and chemist, Dr. Samuel Hahnemann, developed the science of homeopathy in the early 1800's. Through numerous experiments, he furthered the known theory that "likes are cured by likes." Dr. Hahnemann then determined that the effects of the remedies he tested on himself were too toxic at the conventional dosage level. He found that when a remedy is properly diluted, healing is achieved without the severe side effects. Classical Homeopathy is very different in approach from most medical care systems. Normally one goes to a doctor for a specific disease or problem. You are given a medicine to make that problem go away. But the symptoms are there for a reason, and if the reason still exists then the problem will return, either in the same form or as a different disease or problem. I'm sure you have had experiences, where despite treatment, problems return again and again. At other times problems seem to disappear after treatment, but not long afterwards new problems come out to take their place. The reason for this is that the core problem wasn't dealt with. This is called suppression. Homeopathy has a clear understanding of the difference between suppression and real cure. With cure, the root of the problem is dealt with first, and as a result the symptoms are no longer needed and fade away. In most cases homeopaths look at everything that is going on in the patient's life, not just a few symptoms in isolation. The same patient that comes in complaining of headaches may also have depression, insecurities, low energy and a long list of other problems. All of these problems stem from the same root cause and by dealing with it, all of the problems will fade away. During a very lengthy initial appointment all of the problems will be explored. Then a single homeopathic remedy or varieties of remedies are chosen. These natural remedies are made from plants, minerals and other natural substances. They are prepared by a process of step by step repeated dilution and shaking, which makes them capable of stimulating the body's own defence system. The remedy is usually given one time only, and then allowed to work for a long time. Homeopaths recognize the importance of intervening as little as possible. They know the body is intelligent and produces symptoms for a reason. 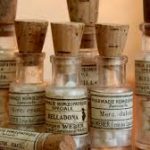 Rather than giving a medicine, which ignores the intelligence of the body, homeopaths choose the one homeopathic remedy, which can strengthen the body and allow it to heal itself. After the correct homeopathic remedy, most patients feel greater well-being and happiness. Homeopathic care goes much deeper than most types of treatment. Changes in life long problems, both physical and emotional are reported. 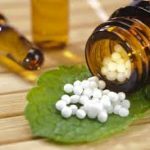 Homeopathy is not well known in the United States yet, though it is growing fast due to its high success rate in helping people, especially those that cannot be helped by conventional medicine. 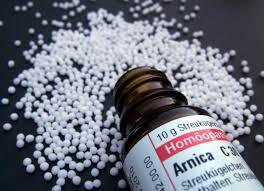 Homeopathy is very common and accepted in England, France, Switzerland, Germany, India and many other countries. Homeopathy is often extremely effective with people who have chronic diseases. This includes any long-term physical or emotional problems, as well as illnesses, which return time and time again. Whether conventional medicine considers the condition curable or not is not the major factor in determining whether homeopathy can help. Homeopathy is also appropriate for those who have problems that bother them, even though no disease has been diagnosed. 1. The homeopathic approach utilizes minute quantities of medicinal substances to create therapeutic physiological changes through subtle-energy fields. 2. In homeopathic remedies, the energetic signature of the medicinal substance is first transferred to a solvent, such as water, then to a neutral pill of milk sugar. It is the vibrational signature of the substance and not its molecular properties which are utilized for healing benefits. 3. In homeopathy, the more dilute a remedy's molecular concentration, the greater its potency. This is in direct contrast to the pharmacokinetic/drug model, in which there is a greater potency with higher molecular concentrations. 4. Homeopathy is based upon the Law of Similars, whereby a remedy is chosen for its ability to reproduce the symptoms of the sick person in a normal healthy individual. By matching the symptom complex of the patient with the known "drug picture" of the remedy, a correct vibrational match between patient and remedy is achieved. 5. In homeopathy, a remedy is chosen for its ability to stimulate and rebalance the physical body through supplying a needed frequency of subtle energy. If the remedy's frequency matches the patient's illness state, a resonant transfer of energy will allow the patient's bioenergetic system to effectively assimilate the needed energy, throw off the toxicity, and move to a new equilibrium point of health. At the Da Vinci Holistic Health Centre both classical homeopathic principles as well as Clinical Complex Homeopathy is used.Dr Georgiou is a qualified homeopath, British Institute of Homeopathy and a Fellow of the British Institute of Homeopathy, UK. In Germany, at the time of Hahnemann, the so-called Komplexhomoopathie (more than one substance) was well established. 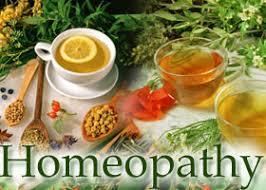 Complex homeopathy is used at the Natural Therapy Center mostly to stimulate organs, for detoxification and drainage. Single homeopathy in high potency can then be used as constitutional therapy. This entry was posted in Treatments by Dr George Georgiou. Bookmark the permalink.